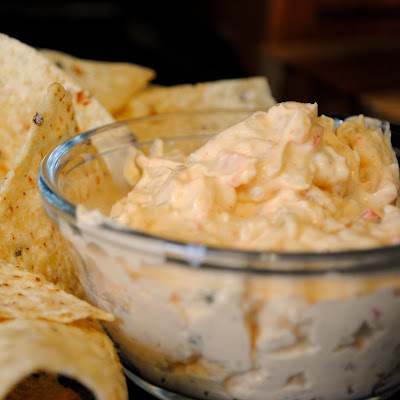 This is a great appetizer for a game day tailgate or any fall party. You can make it on the stovetop and serve or transfer to a crockpot to keep warm. It's great with tortilla chips or pita bread. This is one of those places that you can save a few calories and fat grams and use the reduced fat cream cheese and sour cream as well. I don't think you'll notice the difference. Add in plenty of jalapeno peppers to give this a good kick. 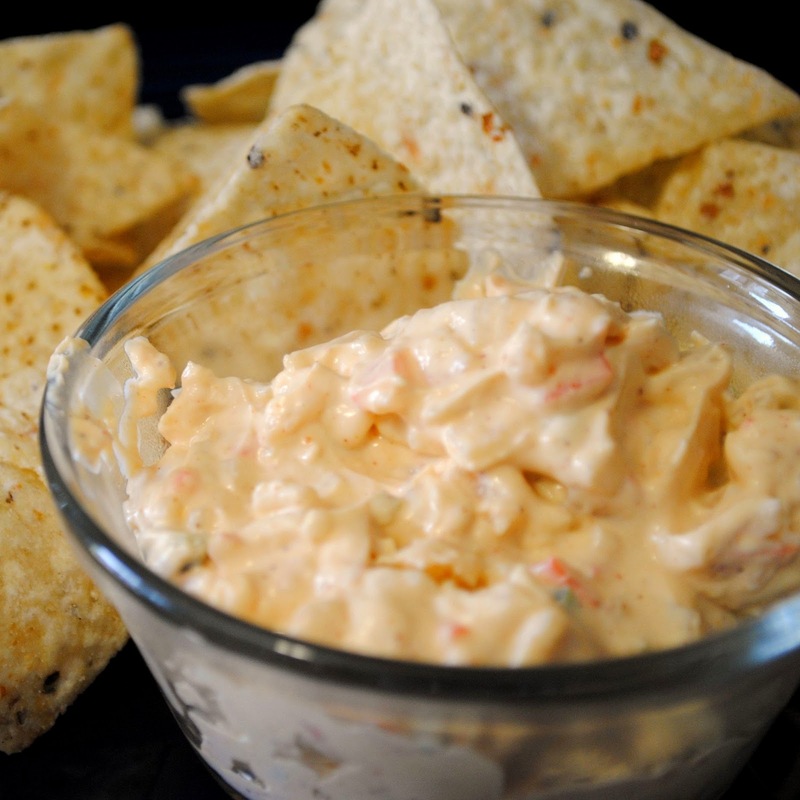 Using canned crab meat will also save you a few dollars or comes in handy if you can't get fresh. Getting fresh quality seafood for an affordable price in Kentucky isn't always easy so I went with canned here. In a dutch oven or deep skillet, heat olive oil over medium high heat and add onion, bell pepper, jalapenos and garlic. Cook 3-4 minutes until slightly softened. Reduce heat to medium and add cream cheese. Stir to distribute and melt. When melted, add sour cream and milk and stir to incorporate. Mixture should be relatively smooth aside from the vegetables. Add shredded cheese and stir to melt. Add crab meat and spices. Stir until well mixed and simmer an additional 5-10 minutes. Transfer to a serving bowl and serve with chips or transfer to a crockpot and set on "warm" setting to keep hot. I made this last night, and it was a total crowd pleaser. Thanks for sharing! @Jaime - glad it worked for your party! I am making this tomorrow for game day! I can't wait!! !